It was 2013 when we first met Chyna Howlett MRP New Development Lead/Head Coach and at that time she was working at the St George Qld Reds. Soon after in 2014, we invited Chyna to come and work for GingerCloud Foundation to support the growth of the MRP and in the four years since Chyna has contributed so much to the program and our community! We honestly couldn’t imagine where the MRP would be today without her. Inspiring others isn’t as simple as it seems, but it’s what the MRP is all about! And with our PlayerMentors well and truly embracing the GingerCloud Leadership Program, they are learning the true meaning of the tools to how they can inspire others and its importance. Q: How will you be able to utilize your Story Telling skill on Training and Game Days? Outline two examples. Bright and early on Saturday morning 9 June, Anna Macdonald and her wonderful ABC TV team visited our Modified Rugby (MRP) teams at USQ Saints Rugby Club to learn more about the MRP and to help spread the word about how the MRP is moving more girls, boys and young adults with learning and perceptual disabilities off the sidelines and into the main game! “Great leaders use storytelling to get their message across,” says MRP Ambassador, Tim Horan. And this is a vital quality that we aim to instil in our PlayerMentors to interact, engage and communicate with their MRP Players. This week is all things ‘Storytelling’, so to all our PlayerMentors, we encourage you to embrace this skill – you will witness how it aids your coaching abilities! To all of our PlayerMentors, keep up the great work with responding to your Leadership Program videos and respective questions – they are the key to your success. Among all of our amazing and beautiful MRP Mums, we had a chat to proud Mum, Megan Halliday, who is new to the program this season. Megan joined her daughter, Annika, to the Toowoomba Bears and since, the Halliday family have loved every minute of it! Megan gave us her opinion on Annika’s experience in the program. The MRP is 100% the real deal. It’s all about being authentic, which is something that we aim for our PlayerMentors to be both on and off the field. This week is Week 5, so we are officially half way through the GingerCloud Leadership Program. We absolutely love reading all your responses to the weekly GingerCloud Leadership Program’s questions! To all our PlayerMentors, you are both inspiring and devoted! Jess Thompson, proud parent of Will Thomspon, one of our Brothers MRP Players, has truly embraced what the MRP is all about. Welcomed into the world-first program this year, Jess is thrilled with the positive impact it has had on Will and her family. Previously, Will had never been involved in a program, sports or otherwise, but with the guidance and support of his PlayerMentor Ben, Will has a new-found confidence and realised his potential in contributing to a team. Jess Thompson offered a heart-warming and relatable account of both her and Will’s experience and involvement with the MRP. Suncorp Saturday - What a Night! It was certainly Super Saturday on the weekend. Suncorp Saturday was nothing short of amazing! Proud was an understatement. 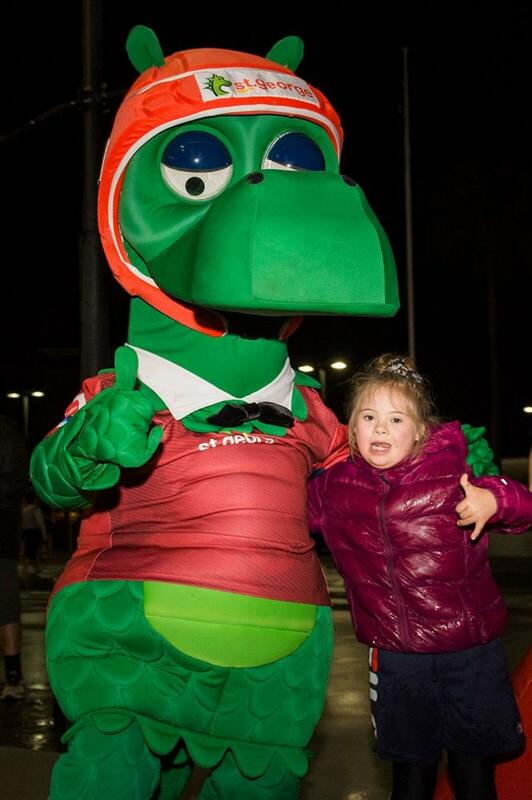 And it was all due to the ongoing support of the St. George Queensland Reds for the fourth year in a row – it has only gotten bigger and better! Building and maintaining trust is at the core of Leadership. And our PlayerMentors are learning the four key elements of this fundamental quality delivered by the GingerCloud Leadership Program this week! Let's hear from our very own MRP Ambassador, Andrew Ready, for his insights.